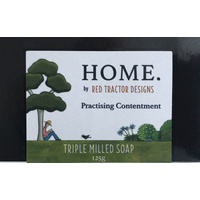 Our 'Lemon Scented Gum' soap - featuring stamped signature sheep's head logo - contains natural ingredients from sustainable sources, with a gentle amount of fragrance. 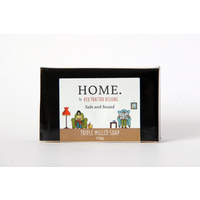 This soap has the fresh lemon-y scent which exudes from its namesake - who wouldn't want to smell like a gum tree? Our RTD soaps contain no SLS (Sodium Lauryl Sulfate), SLES (Sodium Lauryl Ether Sulphate), EDTA (Ethylenediaminetetraacetic acid...and we didn't make that word up) or PARABENS (preservatives).